I know, I know, John Legere and T-Mobile don’t like referencing RootMetrics results. Calling them out for being out of date and not based on real user testing. Still, they can give a decent portrayal of the network quality offered by the US’ top carriers. This time out, it’s showing T-Mo in a favorable light. These results are based on “more than 18,400” tests done on each of the four major networks between February 26 and March 3 this year. Tests include downloading and uploading files, making and receiving calls as well as sending text messages. The tests were conducted using the RootMetrics RootScout app running on Android-based, off-the-shelf consumer smartphones purchased from carrier stores. Tests were conducted both indoors (at 27 locations) and outdoors during drive tests (covering 801 miles). Mobile performance varies depending on where people live, work, or otherwise spend time. Because a variety of factors can influence performance, examples that show what data speeds mean while performing various mobile activities are a general look at data speeds for illustrative purposes and aren’t specific to Las Vegas. For details about the results, see the methodology section of the online report. As for T-Mobile’s actual speeds, the average median download speed was 10.6Mbps, while upload speeds were higher at 13.4Mbps. In comparison to the “Big Two”, T-Mo’s download speed was pretty much the same, but its uploads were more than double what Verizon and AT&T scored. Tmo lte is fast as hell but when you step in a building you either lose service or drop down to edge. And that is the perks of of Tmobile. Sprint is actively working to improve that nationwide with their 800 mhz. I have already started to experience it and boy, its amazing. Must be what its like to be on verizon or att. LOL! A process TM is also working on with the 700MHz spectrum they acquired from Verizon recently. Given that these results have been achieved by TM without the benefit of low band spectrum, imagine how the results will look when it is deployed? But they don’t have 700 mhz nationwide from what I remember. Sprint is deploying 800 mhz to every site that needs it, except where its redundant. Nationwide low band isn’t so important for the issue of structural penetration, which is what is being discussed here. TM have licenses covering 50% of the population, located in most of the major conurbations, which is where structural penetration problems impact the most customers . There will almost certainly be other low band acquisitions to continue the initiative, but more particularly to address signal coverage in rural areas where a low band-enabled tower will do the work of three mid band-enabled towers. The best of both Sprint and TM is still to come, it would seem. Its 5×5. Plenty enough to be suitable for people indoors or in areas where b25 and b41 are lacking. That’s what the 700MHz A-Block spectrum, that T-Mobile acquired is for. Can’t wait until late this year and early next year. Just keep in mind that while the channels in the AWS and PCS bands are 20+20MHz, in the SMH band they are limited to 10+10MHz, so the maximum speed will be necessarily lower when TMO deploys its signal in the new spectrum. Of course, it still beats not having any signal or falling back to 2G. All depends on the building and the closeness of the cell tower. Where I work I’m very close to a cell tower. Almost full LTE inside a data center. Most buildings I go into where there is decent T-Mobile outside (3-5 bars) will still give me 1-2 bars inside. Maybe not LTE but 4G which is fast enough. Love T-Mobile truly reliable and I have been using root metrics to make sure everyone knows how good T-Mobile really is. Rootmetrics usage isn’t counted towards your data cap while on T-mobile native network. really? do you have some kind of source? Root Metrics is the only crowd sourced network test I trust. Its results are consistent across measurements and it also includes the signal strength to create it’s coverage maps. Other crowd sourced apps that I tried yielded inconsistent results even on WiFi and few provided area maps. While Root Metrics does perform site surveys in specific cities using their crews, the area maps are crowd sourced in real time, so TMO has no basis accusing them of providing outdated information or not using actual user data. Perhaps the reports are based on months old data by site survey, but this does not disqualify the merits of their reports. As a matter of fact, their months old reports for my city and a couple of other cities I visit frequently correspond to my experience. If that is the case, how does that NOT disqualify the merits of their reports? I’m not saying it automatically makes other results more valid, but unless the reports contain a fair balance of up-to-date, real-time crowd sourced data as well, how can such reports have real relevance? Because the networks are not revamped significantly everywhere in a mere few months. As I said, the reports for a handful of cities that I’m familiar with correspond to my experience using the TMO network in those places. Please, give it a try by checking your own hometown at bit(dot)ly/1vG8QCZ and letting us know. Besides, the coverage maps of signal strength, call reliability and data speed are created from real-time crowd-sourced data. TM added LTE service covering 200 million POPs in less than 9 months during 2013. That’s an average scale-up of 66 million each quarter. Given that TM’s complaint about RootMetrics’ report related to that period, I would say they had some justification. When the report excluded available crowd-sourced data with more up-to-date information, the complaint is even more justified. However, I thought the bigger beef was with the fact that the report had been funded by the companies that benefited most from its results. Maybe I’m mis-remembering. However Root Metrics has released a few more reports since then which showed TMO improvements, while yet it didn’t get the top score. Have you heard TMO complaining about the recent reports? No, because it could not find an escape goat to explain it. I’m a satisfied TMO customer and I think that it still is a good value for me, even with a lot of room for improvements, but I won’t pretend that it doesn’t need to improve anything. Then again, have you tried the report for your home city? How accurately does it reflect your own experience? There’s a big difference between their metro reports and the United States (second half 2013) report which gave TM a miserable 64.3 rating against Verizon’s 89.7. It’s hard to believe that this report was accurately weighted when their metro reports for the top 25 largest MSAs (covering over half the population, ~160 millions POPs) showed TM to have a rating in the range of 90-97 in 21 of those metro areas, and with less than 88 in only Pittsburgh (82). It’s clear that TM still have work to do, but they don’t need skewed reports like that one to spur them on. 1. They decided to combine 2G and 3G data as one in their coverage map. Given the incredible differences between the two, I have no idea what made them do this. 2. Their map and app also don’t differentiate native coverage and roaming coverage. 3. When doing a signal test for voice signal strength, if you’re on LTE, the signal strength will more than likely be much lower than 2G or 3G. Considering LTE isn’t even used for voice yet, that data isn’t useful. The app should instead just let you do a speedtest instead of a signal AND speed test, or tell you to turn LTE off when doing a voice signal test. 4. Lastly, their new report layout lacks a lot of detailed information compared to their old layout, such as actual data speeds, call failure measurements, the time it takes to download emails, etc. Ratings that are always I’m the 80s or 90s don’t mean much to hardly anyone. Part of the problem for 1, 2 and 3 is with the phones not always providing apps API access to that kind of system information. For 1 they should at least be able to detect the device model and then have a separate database that keeps track of what devices are 2G, 3G, 4G with or without LTE. They could then cross reference with what each device’s max theoretical speed is for the filters prior to incorporating new results into the live database. Seems goofy. Upload higher than download? I’ve run across it in a few places in my area. It’s not super common, but it does happen…just not often enough to show up on a test like this. Yes, I suspect due to network congestion, as most users are likely downloading, not uploading, or tower saturated with too many users. It happens based on congestion. In San Antonio, AT&T’s upload speeds are generally MUCH faster than their download speeds. They’re struggling here in general, though. I love you T-MOBILE…. i mean WE LOVE YOU T-MOMILE. Yep. Every time I go into a casino. It doesn’t for me… only time I don’t bother is on the west side of Southern Highlands… other than that, I have good T-Mo service everywhere else thanks to the Network Modernization, even Town Square where it was a nightmare just 1 year ago. Actually, just don’t live in Vegas period, its a dump in most area’s. In North Las Vegas, data is constantly cutting out. I have to turn airplane mode on and off to get it back. The LTE indicator stays on the screen, there’s just no connection and nothing will load. I live here and deal with this every day. It’s junk. I’m with verizon and have been considering tmobile. I live in southwest Vegas and work on the strip. Would you recommend a switch to tmobile? Is there poor service inside of the casinos? I’ve heard T-Mobile has DAS (distributed antennas) inside some casinos to give perfect service. I can’t say for certain though. Grab a prepaid $3/day T-Mobile SIM and test out the service. T-Mo has a few DAS in some of the Casinos.. there are some where the service is bad but the same is true for other carriers, it just varies with the location. Try using VZW in some of the Fremont Street Experience’s Casinos or the LVH.. it’s spotty LTE coverage, sometimes 1X and mostly 3G. I live in southwest Vegas and it works great now. There are a few hspa+ only towers though. They just finished upgrading the cell site in the parking lot of Target/Kohls/In N Out to LTE and presumably PCS HSPA+ (would mean better HSPA+ coverage for the area). Two towers in Southern Highlands out of the 3 remain GSM-only, and there is another tower after Rainbow before Durango near the Church that is still GSM-only. 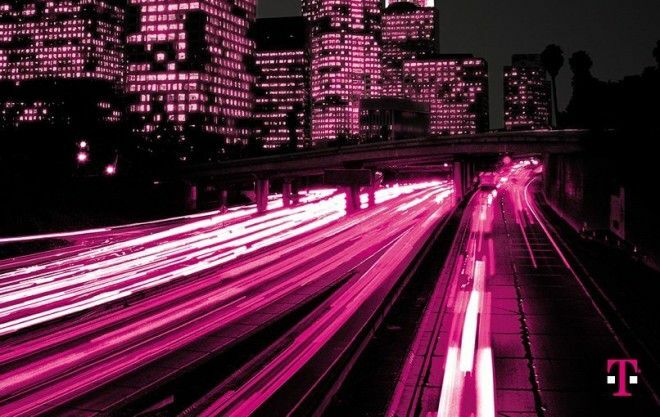 You can try T-Mobile out for 14 days. It’s the buyers remorse period so you can return your phone and get your money back if you’re not satisfied. You won’t get the same signal penetration with T-Mobile as you do with Verizon. You won’t pay as much with T-Mobile though. It’s kind of a trade off. I get better service in Summerlin with T-Mo than VZW, both using iPhone 5’s. 1 bar of LTE off of Hualapai and Sahara in a set of condos with VZW, 3 with T-M. At my job also in summerlin, our office’s VZ LTE is so overloaded people are kicked over to 3G. Oh, I get great bars where I’m at. 4-5. It’s just that data is constantly disconnecting on me, even though the indicator is still there, and I have to turn it off and on again to get it back. It’s happened to me on the iPhone 5s and on the HTC M8. I don’t know what the deal is. I never had a problem with it before I got an iPhone. I have a Samsung S5, great LTE connection at -85 to -90db on T-Mobile. Same issue, data constantly disconnecting. It is not a phone issue because have same exact Samsung S5, never had that issue on Sprint. Was in LV a few weeks ago..
It’s happened to me on an iPhone 5s and a HTC M8. I don’t know what it is. I still don’t step inside of a building and drop down to EDGE in Las Vegas… this used to be the case before but not now. In Summerlin, Las Vegas.. I have full bars of 4G at home in Lone Mountain, full bars of LTE at work, 3-4 bars at a friend’s condo in Summerlin and service inside of most of the casinos. The only place I’ve noticed data coverage being especially bad is Southwest Las Vegas, not all sites have been upgraded to HSPA or LTE and are only providing basic GSM coverage. MPCS integration should speed this along however as they have LTE all over SW Las Vegas. The cell site near Target in SW Las Vegas recently got LTE so they are moving in.